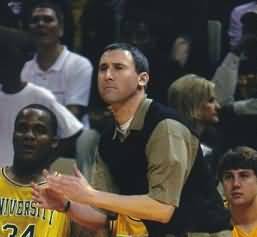 Having coached at every level of basketball except professionally; I concluded there exists four fundamental precepts of effective offensive play. These precepts are necessary regardless of the offensive scheme or the pace at which you might play. Any offense automatically has a built-in advantage because they know the play, pattern or concept while defense must react to the unknown. When offensive players hold the ball or dribble in place; that eliminates the advantage. In any offensive system; the ball should only be held for a count of two. A player should catch the ball and square up to the goal; but should not dribble the ball unnecessarily. A dribble is most effective when used to: attack the rim, improve a passing angle, or to get out of trouble. Efficient ball movement involves getting touches also having touches in post/paint area. Middle penetration is the most effective way to destroy a defense. The ball should never 'stop' with one player. When the ball is reversed side to side it forces the defense to shift. If the defense has to shift continuously; the chances of a slow shift or breakdown becomes greater. Closely related to ball movement is player movement. A stationary player is easy to guard. In offensive basketball, players should be 'hard to guard'. However, players must move with a purpose. Activity does not equal achievement. Cuts should be precise and players should wait if they are receiving a screen as to take full advantage of the screen. Cuts should be fast and hard to 'create help' which can further isolate a defender. Players that know they won’t get the ball despite cutting should still cut hard and fast so the defense has to stay honest and not cheat. Chuck Daly said "Offense is spacing and spacing is offense". Effective spacing requires players to be anywhere from 12-18 feet apart at all times unless someone is setting a screen. Good spacing allows for better penetration lanes and execution of 1-1 moves. Even when employing a pattern offense (flex, UCLA High Post, Princeton), set plays (NBA sets), or running the various types of motion offense- solid spacing is paramount. Never be in an offensive circumstance where two defenders can guard one.